During the question hour, today Arun Jaitley also added that there are 26 Sainik schools spread across 22 states and the remaining states have been requested to the indicate their requirements for such schools. 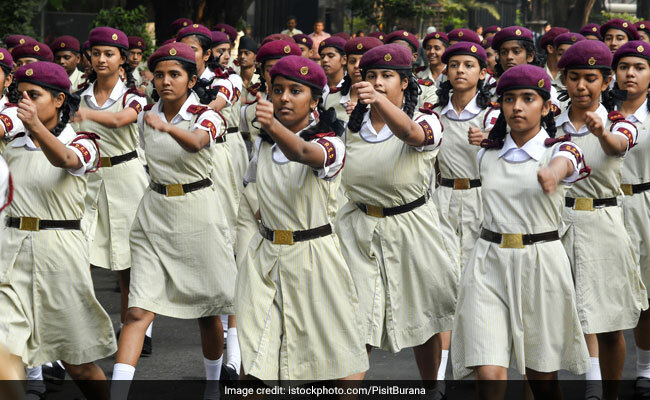 New Delhi: Girls may soon be allowed to take admission at Sainik schools and National Defence Academy (NDA). The government is considering to implement such a proposal, Union Minister Subhash Ramrao Bhamre told the Lok Sabha today. He further added that there are proposals are pending for setting up 21 more schools in the country; a total of 26 sainik schools are there as of now. To this, Defence Minister Arun Jaitley added that Rs 80 crore has been allocated from the Budget for these schools. During the question hour, today Arun Jaitley also said that there are 26 Sainik schools spread across 22 states and the remaining states have been requested to the indicate their requirements for such schools. The matter is under the consideration of the ministry, he said. To another question, Jaitley said no new regiment has been raised since Independence, while the sub units raised were as per the existing nomenclature and numerical seniority of the units in that regiment. "As per government policy on the subject, all citizens irrespective of their class, creed, region or religion are eligible for enrolment in the Indian Army. After Independence, it has been the policy of the Government of India not to raise any new Regiment for a particular class/community/religion or region," he said.